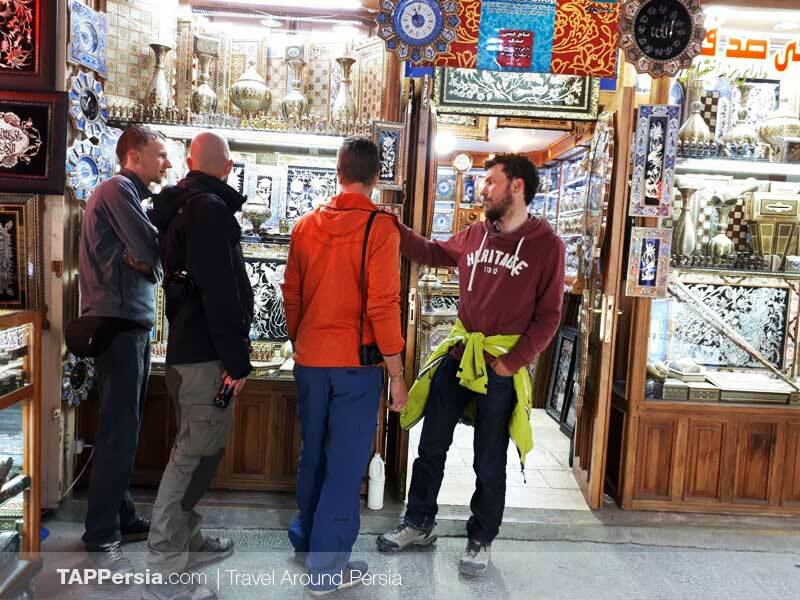 In Isfahan Free Walking Tour, you will walk with us for 3 hours and get familiar with Isfahan’s must-see places, you’ll also know a lot about the city’s history, art, and culture. 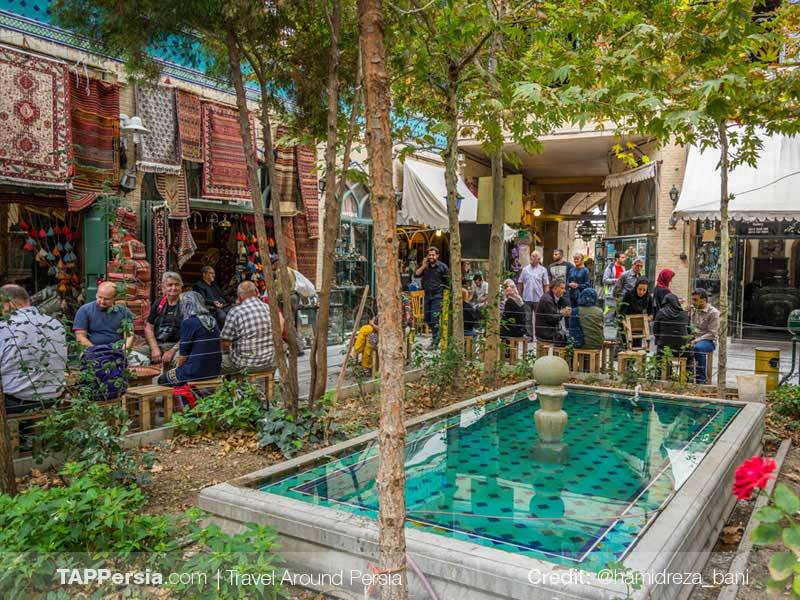 Let’s start walking through Sepah street toward Naqsh-e Jahan Square. 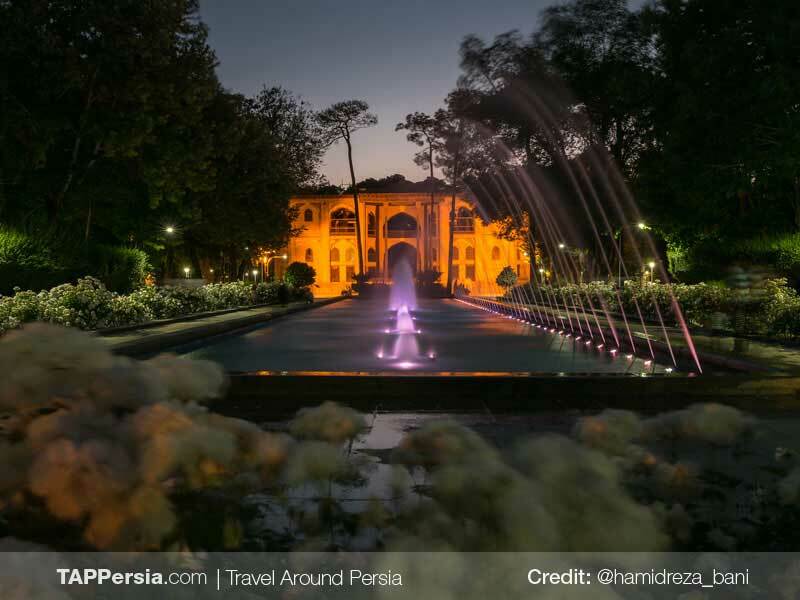 On the way, you can watch the old and modern shops and pass by Chehel Sotoun Palace which is one of the Persian gardens and dates back to the Safavid time. Suddenly, at the end of the street, you face a rectangular magnificent square with lively atmosphere. A sight which doesn’t belong to our world. 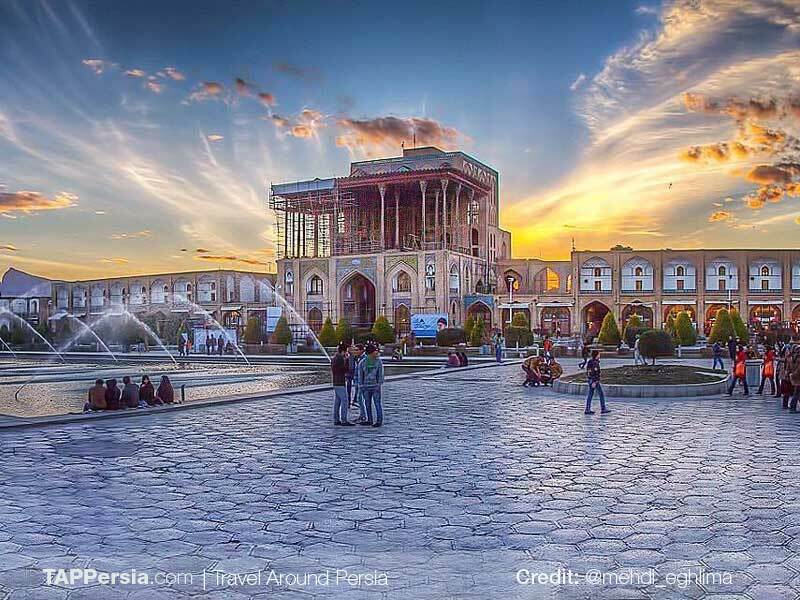 Naqsh-e Jahan Square is glorious and ingenuous. It seems like you have travelled to Persia in the Safavid era. The series of arches all around the square, vibrant bazaars and four beautiful monuments on the sides. You will see a large beautiful basin in the middle and the carriages riding by strong horses around the square. 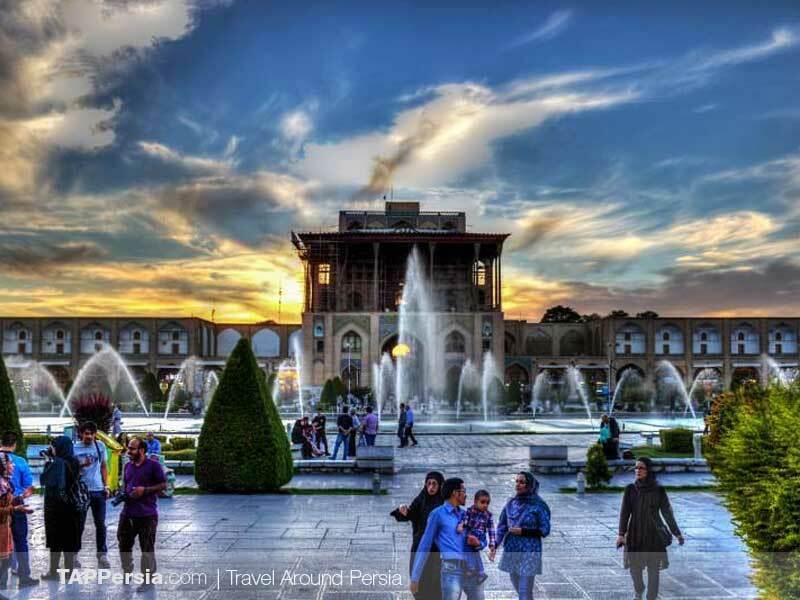 When Isfahan was chosen as the Capital City of Iran, this square was built by the Safavid King, Shah Abbas. 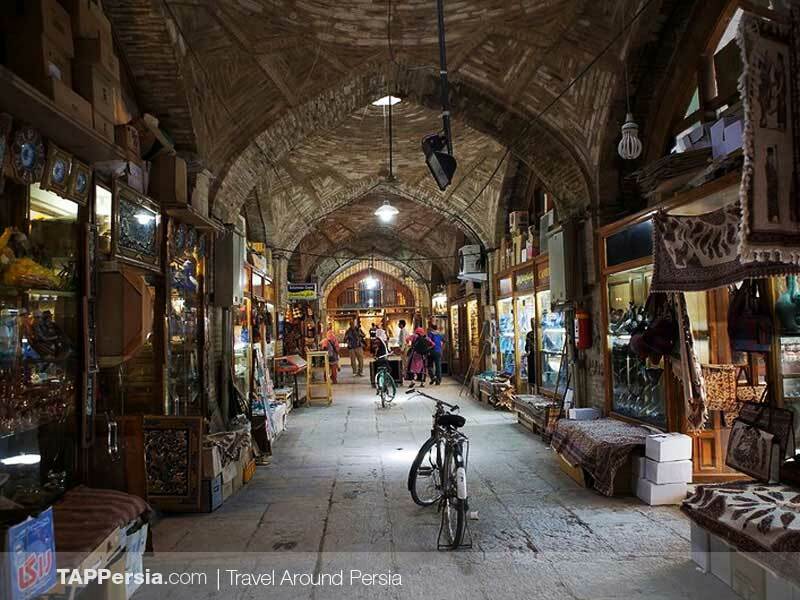 On the west side you can observe Ali Qapou Edifice, where was the Safavid governing center. They also built a mosque only for the royal family called Sheikh Lotfollah in the east of square, and there’s Shah mosque and Qeysarie gate in the north-south axis. While watching all these allures, we will offer you to taste one of the most delicious desserts of Isfahan, a Fereni which is very similar to panna cotta. 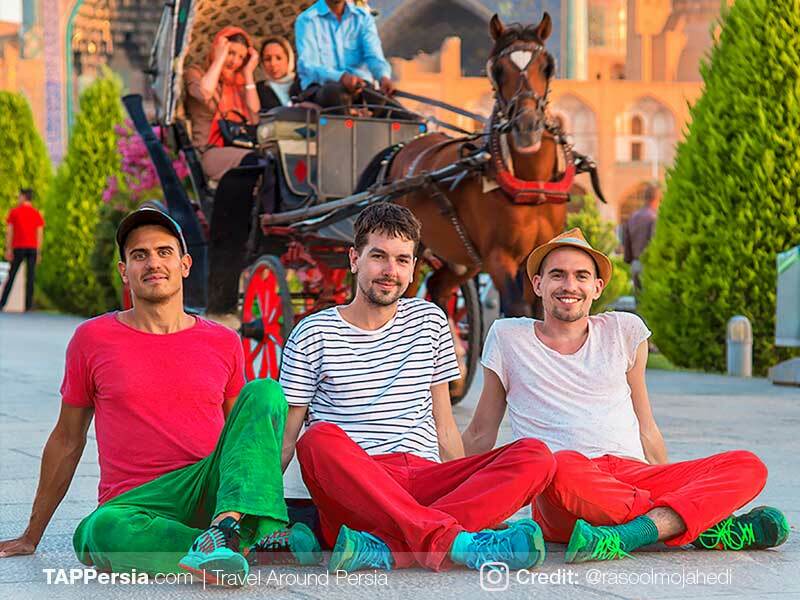 After spending some time in the square and bazaars, let’s move to Hasht Behesht Palace that is located in a beautiful garden and nowadays it’s also a public park. You will be amazed by its superb architecture and gorgeous decoration. 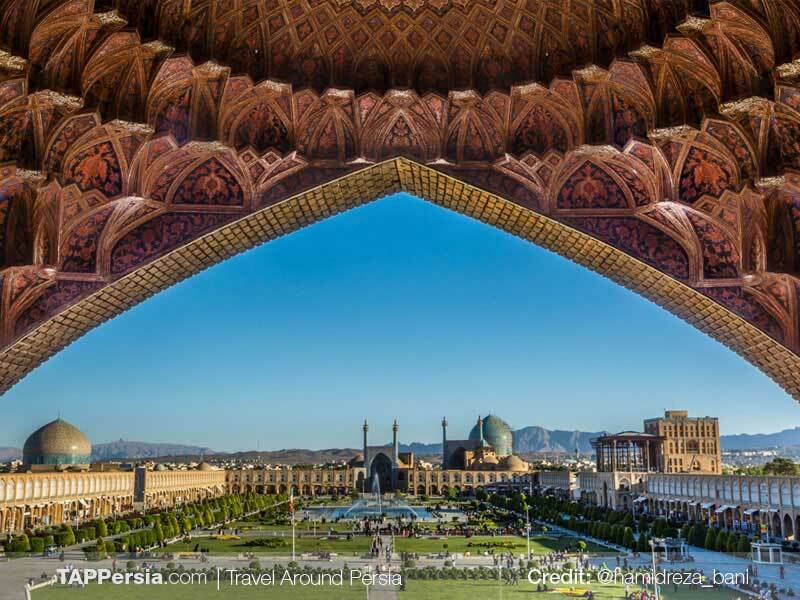 This palace also dates back to the Safavid time. 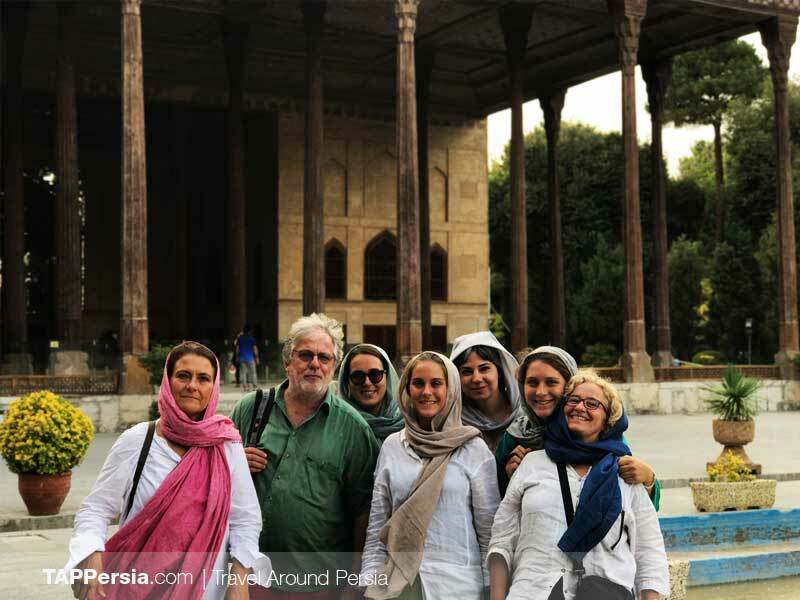 This tour will let you get a general perception of Isfahan, covers all aspects from history to architecture and from culture to Persian cuisine. We were a group of 4. 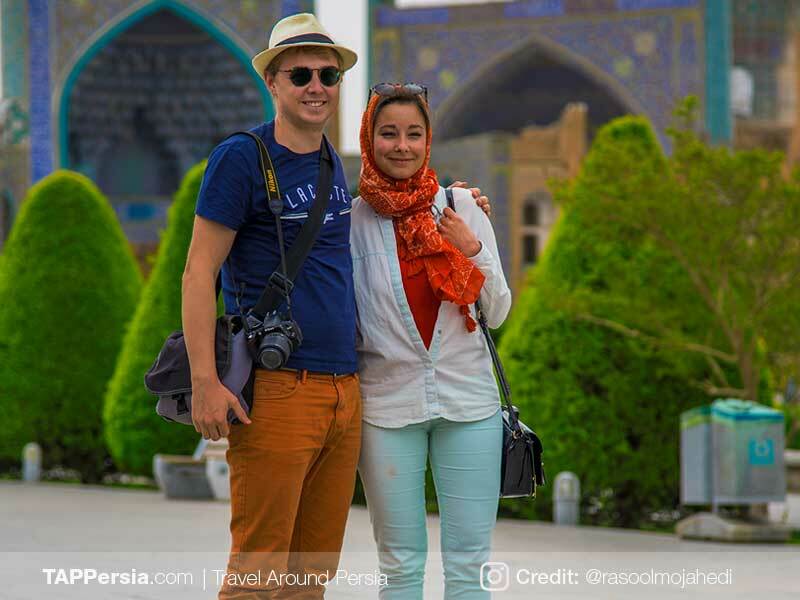 In July 18 we had a great experience with Sameneh as a guide. She is a lovely person and a competent guide. 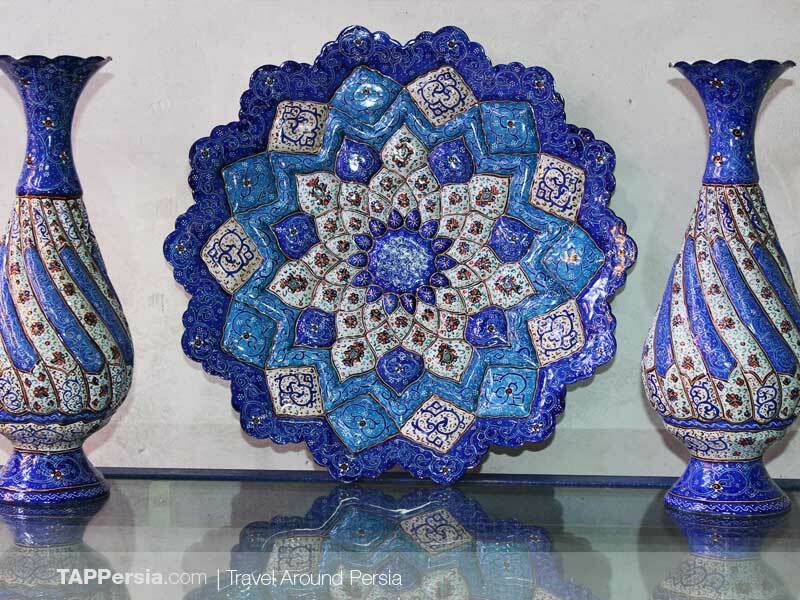 From her we discovered a lot about art, buildings, history, shops of Esfahan. Highly recommended. In May we did a walking tour with Samaneh. She is really kind and tells a lot of interesting facts about the city and all that is in it! In the beginning she checks if you have special interests (for example architecture, poetry or history) and she uses that it her information. Thank you for the interesting morning! It was a great pleasure to do a free walking tour with Samaneh! 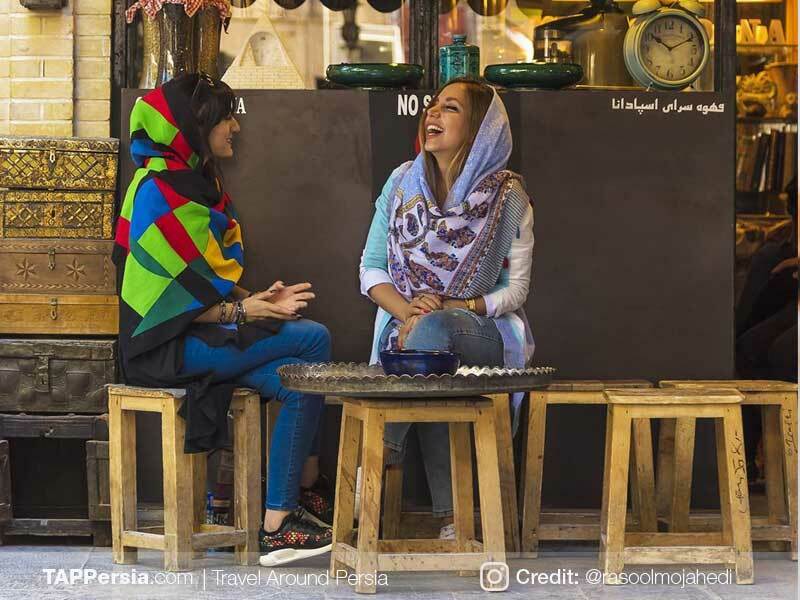 She showed us around in the center of Isfahan, explaining the historic sights and answering all our questions about life and culture in Iran. 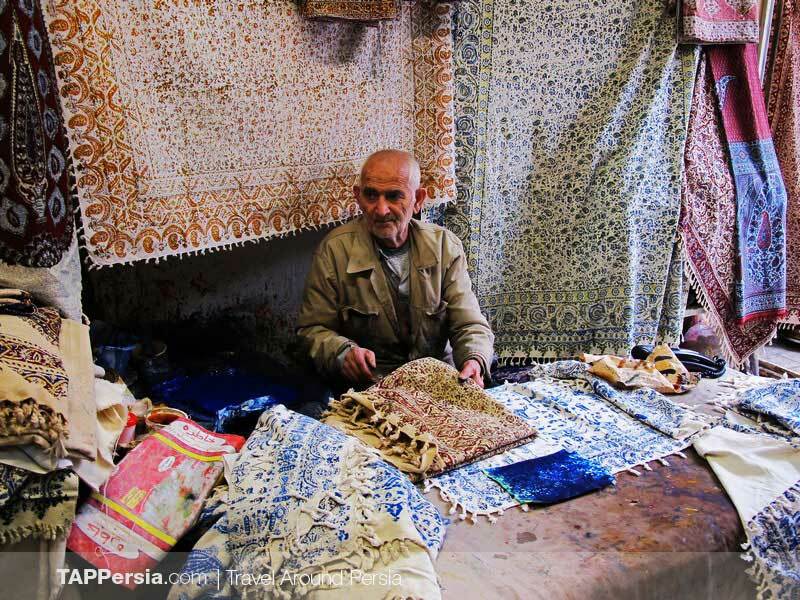 Samaneh has a big knowledge about the culture and history of Isfahan and Iran. 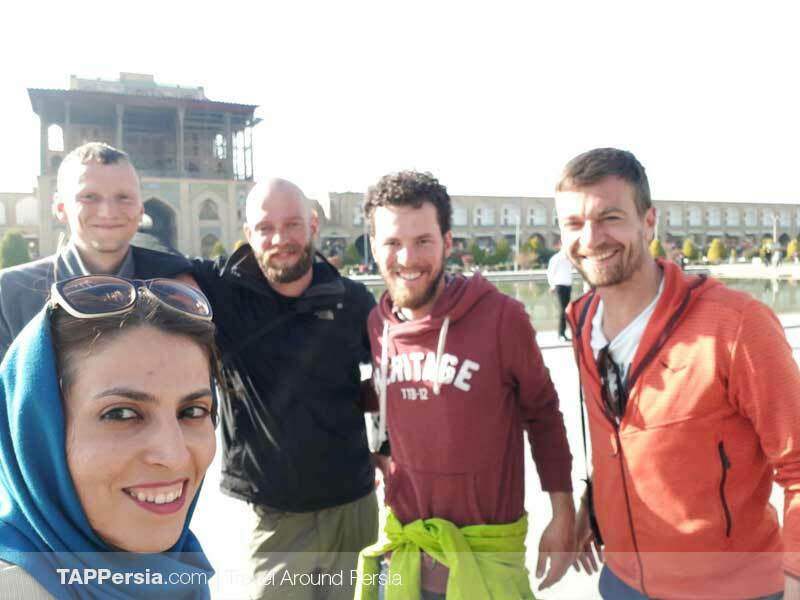 We warmly recommend exploring the city with Samaneh, as she is very kind, friendly and helpful! We enjoyed tour with Samaneh a lot! She showed and explained everything. She’s very Nice and competent. I definitely recommend! Samaneh ia a great guide ! ...with a lot of historical (and culinary!) insights and a very good mood with no filter ;) Can recommend! We really enjoyed our tour with Firouzeh! 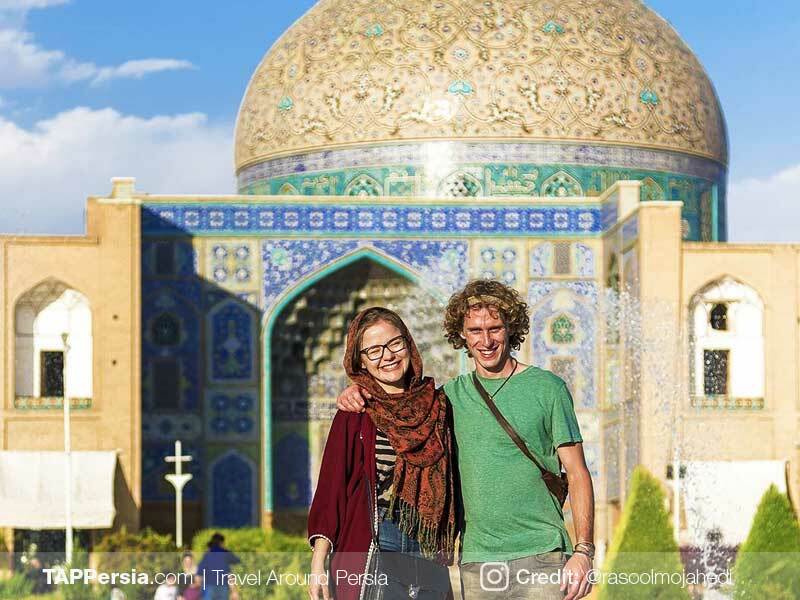 She is very knowledgable about Isfahan but also Iran and its rich history! Also she gave us good recommendations for further activities. Thank you very much again! The tour was very pleasant and interesting. Four hours passed fast as 10 minutes. Places that she chose were magnificent and she was very enthusiastic in explaining everything and answering all our questions. Like having a tour with a close friend that knows everything about the place. Sincere recommendation. Thank you Samaneh it was a real honor to meet you !!! I loved the tour with Sameneh! She took so much time to explain and show many things and she was very patient for us to shop along the way! She is a great girl with a lot of knowledge! Dont miss out on the tour with her! Free walking tour with Samaneh. First of all we have to say that it was great getting a private tour from Samaneh because we were the only 2 guests. Samaneh loves giving and receiving information. She knows the right balance between walking, sightseeing and giving information about history, architecture, gastronomy and so on. We confirm that Samaneh is very flexible and is open for suggestions. Do not hesitate. Just book the Tour? Samaneh was my tour guide. I really enjoy her sharing and guide. She studied history and was keen to share a lot with me. This experience was a fruitful culture exchange and enriched my understanding of the locals and history. Highly recommend this tour with Samaneh! I had a wonderful day with Samaneh, she was very flexible with what I wanted to see and do. She stopped whenever I wanted to try or go into an attraction as I happened to be the only one on the tour (it was low season). What especially stood out is the stop she makes for desert that is traditional of the city that she bought for me. She has a masters in history and is thus very knowledgeable about the city and country. I can highly recommend her! 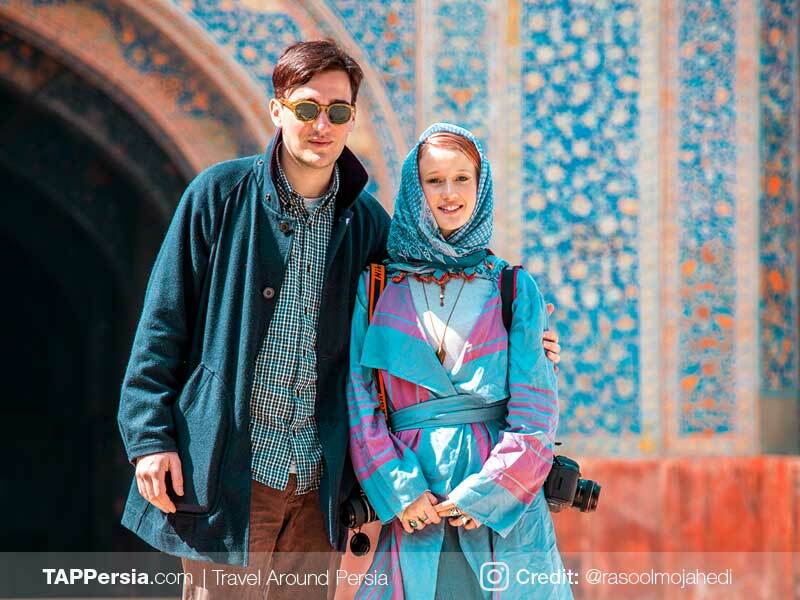 She did a great tour around the center of Isfahan, telling a lot about ancient sights. 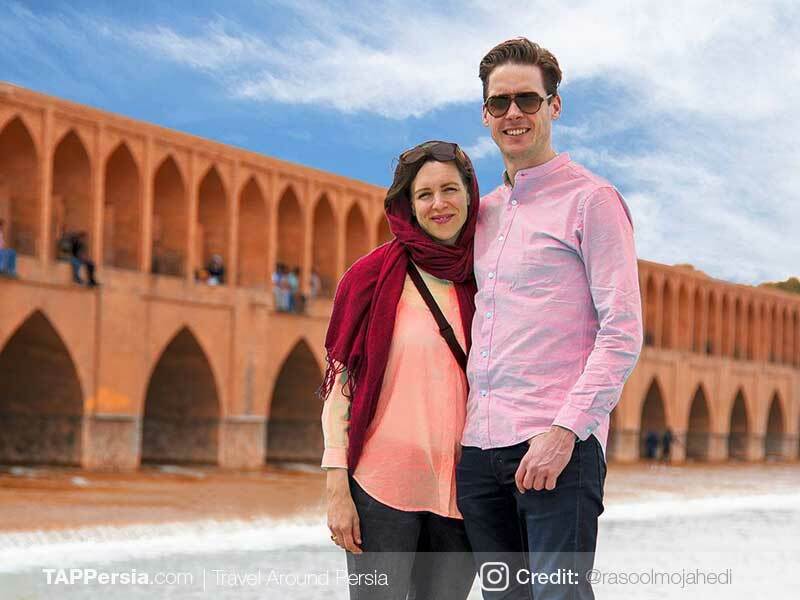 It was really new and interesting information, and also she showed a couple of hidden places such as a table cloth factory in the caravan saray or a beautiful small park. Highly recommended as a guide! I enjoyed the time with Samaneh a lot! 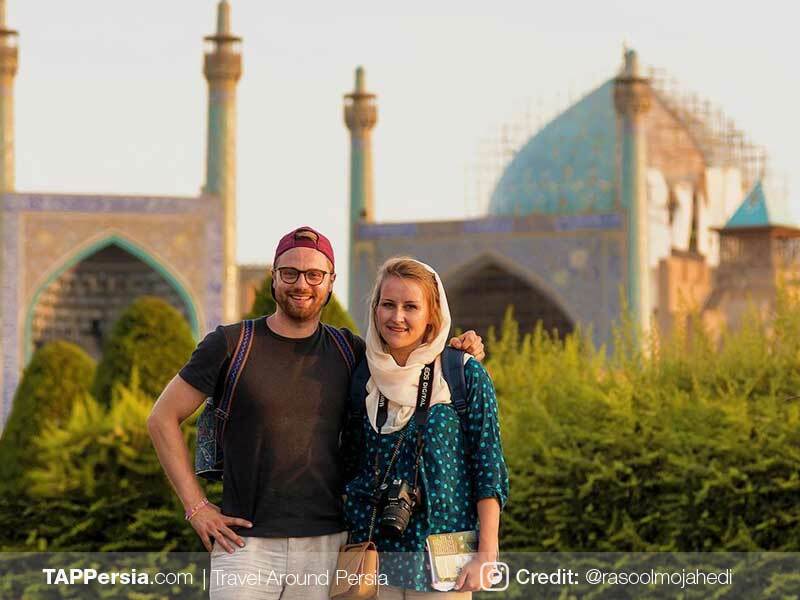 She showed me the touristic things in Esfahan and had a lot to tell about some secrets of those places. I hope we meet again! I did a walking tour with Ali and enjoyed it a lot! He is very knowledgeable, but also fun to hang out with. He gave me great insights about the city, culture and ideas for the rest of my stay (places to visit, food to try etc) highly recommended!